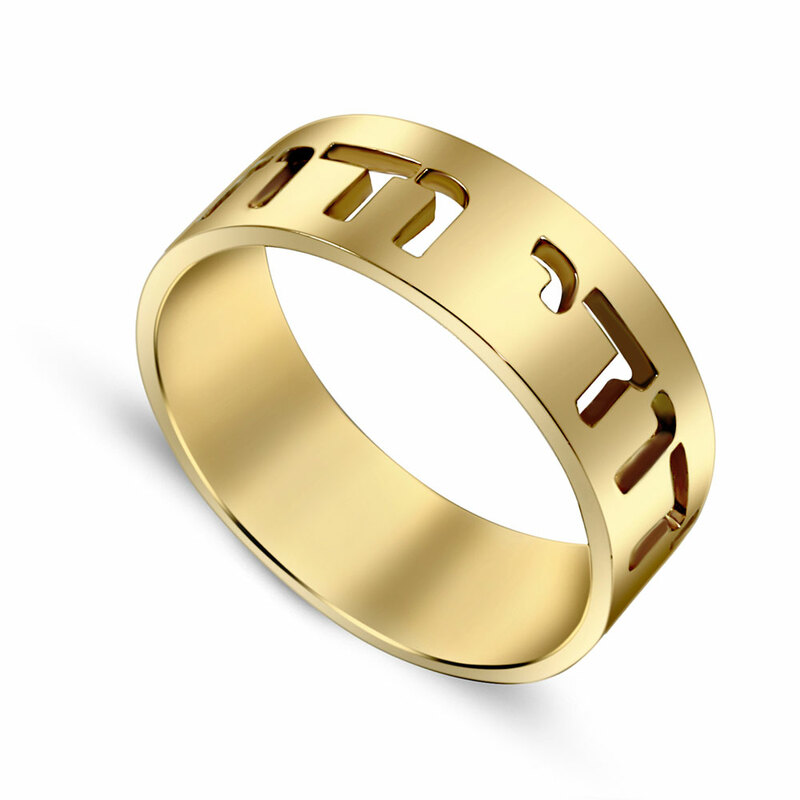 14K or 18K Yellow Gold Ani Le'dodi Wedding Band. 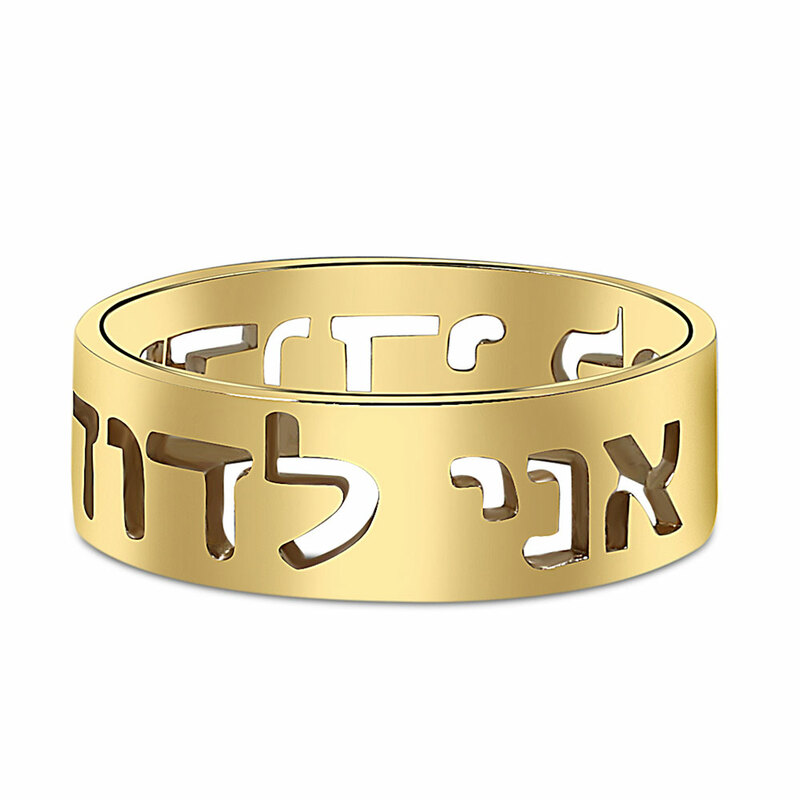 New modern style by Bezalel. Luxurious comfort fitted. Made in the USA. Gold Thickness: 1.5mm. Band Width: 7mm. Price reflects sizes upto size #8.